GameInside.ua made an interview with our captain Boombl4 just on the CIS Minor. Kirill tells something interesting about his new role, tier-1 teams and his new teammates. Here’s the most interesting questions! You had a pretty harsh victory over Gambit. Why did it take so long? Were there too many mistakes or just the opponent was too good? It was all along in these game. We took our pick, and they took theirs. Third map was a chance for both of us. There’s no need to add something, we were ready to play Overpass, they were ready as well, so it came to mind games only. We were sitting and discussing the possible maps. Before the very start, when the groups were announced, I wanted to go to playoffs from the 1st place in the group. I knew Gambit was going to go from the 2nd place, so they were my principal opponents, whom I wanted to defeat so bad. It’s personal. Can you tell something about these reasons? Me, WorldEdit and wayLander just wanted to defeat B1ad3. What are the duties of Pipson and Iksou? It was hard at the very beginning. We had two coaches, who didn’t know what to do. But after 2 months we are feeling good. There’s no competition between coaches, and everyone feels like he is in the right place. Pipson is a man who builds our game. He suggests the rounds, tells about our opponents and watches demos. Iksou is our head coach, he know our pros and opponent’s cons very well. But now he is more like lifecoach for us and he works with our spirit. He gives us energy during the game and doesn’t let us drown. But he can tell something about the game too. If we compare to how it was in QBF, so there’s two different styles. Back then we depended on our shots, we got no preparation, but we had high morals. We were playing well if we were in mood, but if someone tilted the game was lost. Here in Winstrike we have a game plan, different play styles in pool we can change. It gives you whole bag of confidence, because we always have a plan B. Can this roster go further than top-8 at Major? Look, tier-1 team consists of 5 people, each of them should be a good players and make calls. Discussions, shooting, rounds. In QBF we had only one of these, but now we try to work on everything. We’ll get a better result in the end. «I don’t have an aim to become the best player in the world, but I want to play in the world’s best team», — you said once. Can you consider Winstrike can be the best team with this roster? Can you feel some unrevealed potential in yourself? Of course. there’s always somewhere to grow. In my opinion there’s no such thing as maximum. 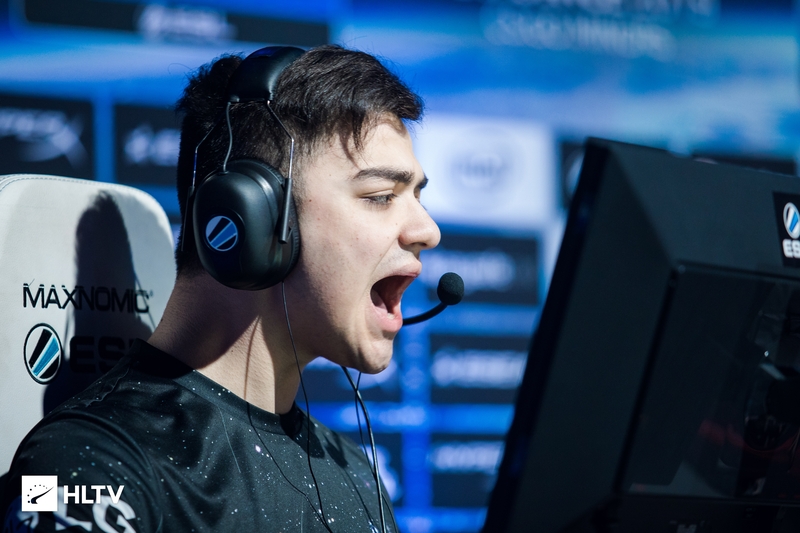 Even Astralis who dominates the scene about a half of a year, they always changing something and progressing, trying new things and going further. It’s the main thing. The one who doesn’t stand still is the one who wins. Three months passed since the roster update. Can you tell us about your progress? David (n0rb3r7) is a very talented player, but his journey is only begins. He can play like s1mple or even better. All that he needs is time, because now he is only 17. But in the group match vs. AVANGAR he played like a 30-year-old. He has no fear that all the newcomers has, even though it was his first LAN. I’m happy to play with him in one team. Kvik. I didn’t want Kvik to stay when I was gathering this team. Some disband leftovers still hold me. But then I’ve changed my mind and after some time I realized this man can play pretty well, like he is playing now. Kvik liked when everything’s in the right place, and Pipson worked with him hard when he came. Now he plays better and understands what’s happening on the map. He feels confident because now he knows what to do. What about that adult duo from FlipSid3? I don’t know them that much (laughs). I need to play more with them, but I already know it all depends on their mood. I’m sure they like Winstrike more than their previous team last year. They see the progress, so the motivation is growing. I can understand they had some doubts, other offers, but they chose Winstrike. I’m happy with how they play. Yan often suggests something in the game, coordinates us — he is the man who follows the game. Gosha is a sniper man! We have some jokes about it. Sometimes he cannot shot a single target, and sometimes he shows unreal flicks. He has a joke about himself: «Today I’m like a spyglass, just watching in the hole and not shooting». He depends on his mood, but he is self-confident. He found himself in self-control. So there’s only you left. You’re a captain since the roster update. I was near you during the game and saw how many information you provide. How did you become an authority for such a different crew of people? — Actually, when you join the team with the captain, you need to listen to him and trust him. You’re a team and you’re all working together. I didn’t remember a single time when players didn’t believe me or my calls. We learn together. I had lots of mistakes first months, made lots of wrong decisions, but my team helped me and teached me. I’m learning to be a captain together with my team. I wanted to become a leader even in QBF, just after Major. Iksou: But I didn’t let him. It was too early. So there’s another reason. I was afraid that Nikita WaterfaLLZ wouldn’t match our characters. I thought if I would be a captain, he would become better with AWP. I saw how he can shoot, and we needed his play so bad these times. He felt himself uncosy when he made a call. On the contrary, I’m becoming more confident and start to play better, I like making calls. Now I’m moving to the so-called third stage. I’m not a good captain yet, and trust comes with victories. Tell us about your hobbies. Are you fond of something, or you only play professionally now? I’m focused on my career mostly. Now I have two goals in my life: to lose weight and to play CS:GO as a captain. Our careers are pretty short, we play till 30 and then become coaches. You need to win now, so people learn about you. There’s no time to rest.